with innovations in outdoor gear and apparel. Gerry Cunningham was raised in a family that provided him a fulfilling outdoor lifestyle. He spent many countless hours on his mother�s sewing machine, with a strong desire to build better hiking and climbing gear for himself. 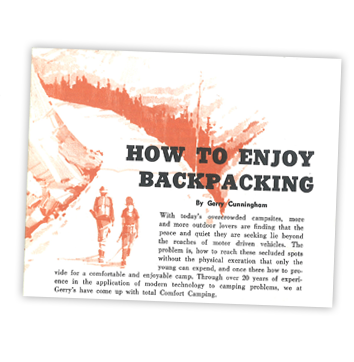 He carried many packs during his outdoor adventures and soon saw their deficiencies in design and fabric. He became unhappy with the way an ordinary rucksack bag swung around on his back. 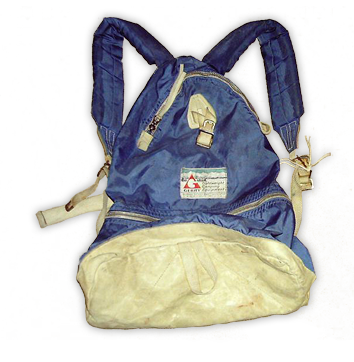 In 1938, he designed a backpack with two zippered compartments to keep the light load and at an easy reach while rock climbing. 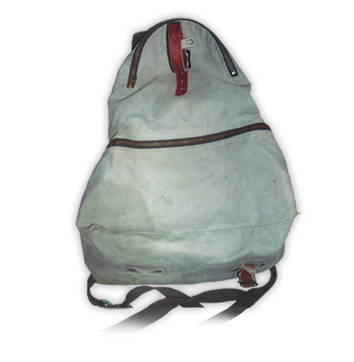 This was the first ever zippered rucksack backpack invented. 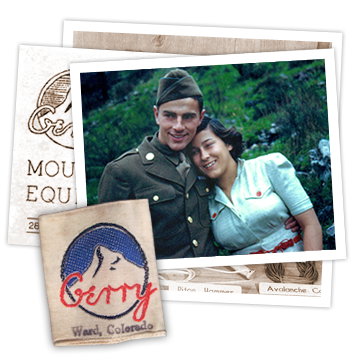 Gerry Cunningham became aware of the need for sophisticated backpacking equipment while serving with the Army�s 10th Mountain Division. 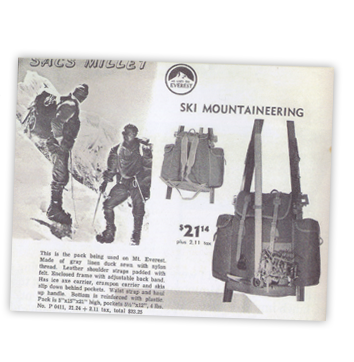 The lack of proper outdoor equipment encouraged Cunningham to start a business designing and manufacturing versatile and lightweight mountaineering gear after WWII. 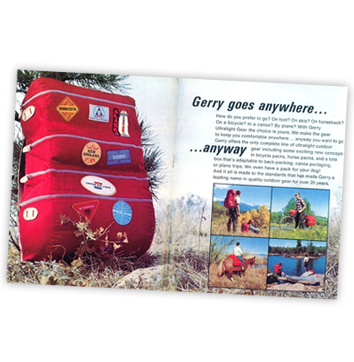 Gerry and his wife started making rucksacks and climbing packs, while writing a regular column for the national Ski Patrol magazine. The Cunninghams received the magazine�s mailing list in return. 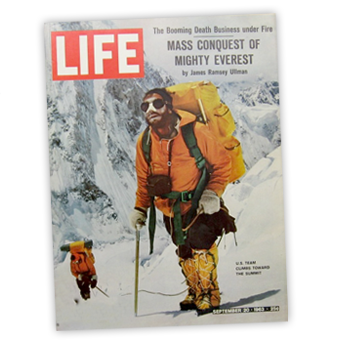 Eventually they got the mailing lists from every mountaineering club in the US. They went into the mail-order business as GERRY. 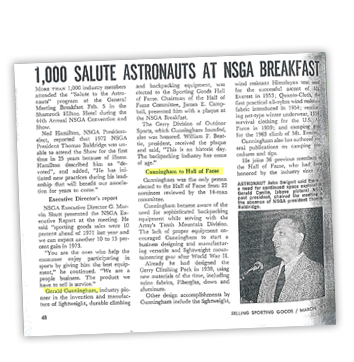 Gerry Cunningham was a young inventor at heart. 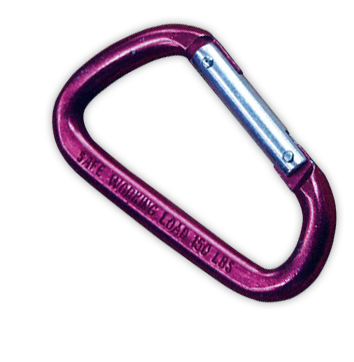 By 1947, he redesigned the Carabiner. He was working to solve a gate weakness problem and began forging them out of steel in his home workshop, �putting $5.00 worth of labor into each one, and then selling them for $1.50.� His triangular �biner� style also gained widespread popularity circulation as a keychain. Gerry Cunningham invented the barrel shaped, spring-loaded Drawstring Clamp. He used it to keep a rucksack closed instead of tying it. 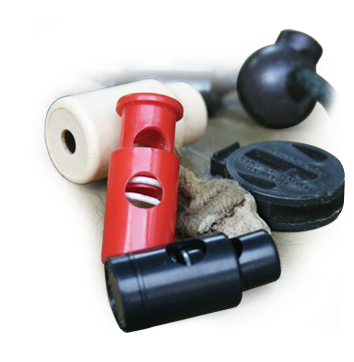 The now famous, �Cordlock�, is probably Gerry�s greatest achievement to the outdoor market. It was later patented. The Cordlock is very present today on outerwear and camping gear drawstrings. 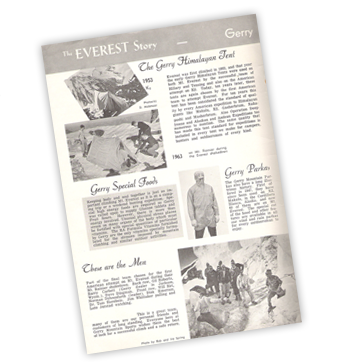 GERRY�s Himalayan Tents were used by the first team to ascend Mt. Everest in 1953. 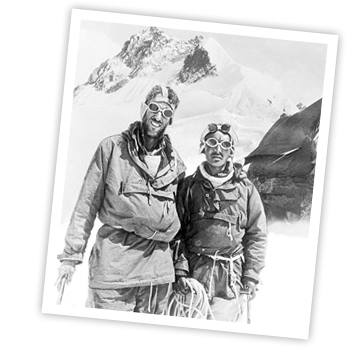 Among the men were Tenzing Norgay & Edmund Hillary, two of the most famous mountain climbers in history. 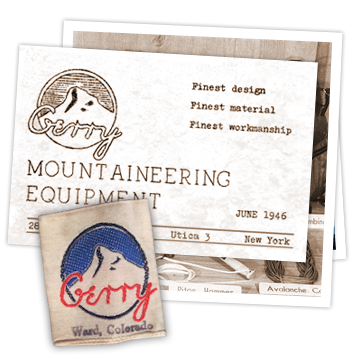 Gerry employees were sewing the tents in their bedrooms all day and night before the expedition to get them done in time. 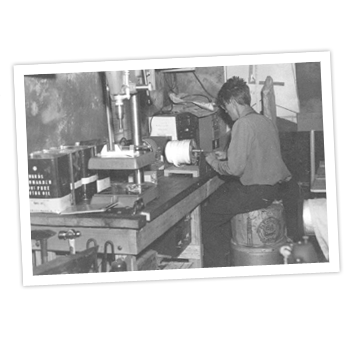 In 1958, Gerry opened its first store in their hometown of Boulder, CO to compliment the thriving mail order business. 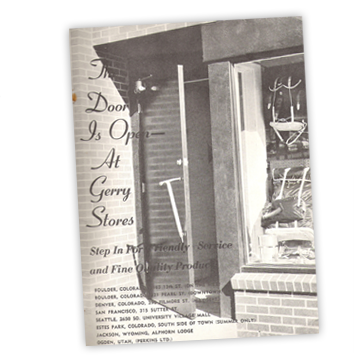 Many more Gerry stores opened around the country as the brand grew. 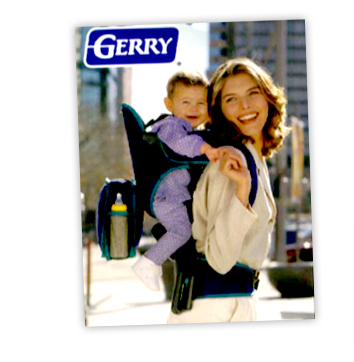 Gerry invented the modern Kiddie Carrier in 1959, out of necessity. He wanted to go skiing with his wife and needed to bring his kids with him. He really couldn�t afford a babysitter, even if there was one in the area he could hire in the mountains. 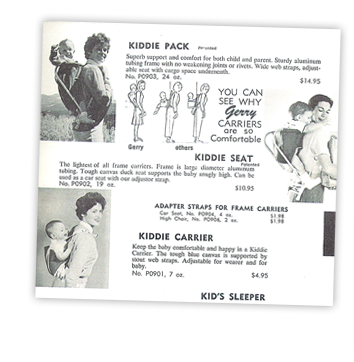 He finally got a patent for the Kiddie Carrier in 1963 and it became one of the company�s most popular items, in existence for over 40 years. 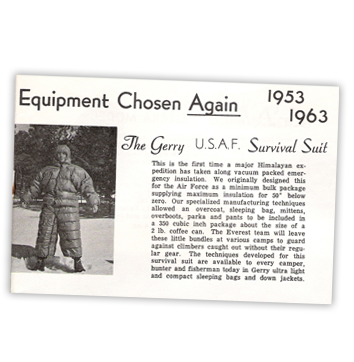 Gerry was asked to bid on a contract for survival suits for the US Air Force to withstand frigid temps. 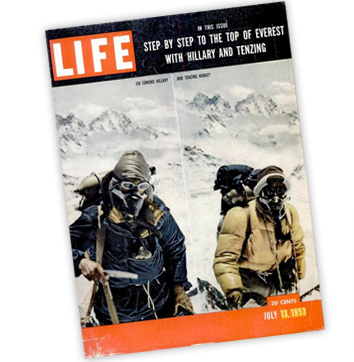 The vacuum packed survival suit included down mittens, a down jacket, down pants and a down bag that could be transformed into a sleeping bag, which all could fit into a 2 lb coffee can. Each component of the survival suit had to withstand temps down to -50 degrees F. The secret ingredient was Goose Down, which provided maximum insulation at minimum weight. 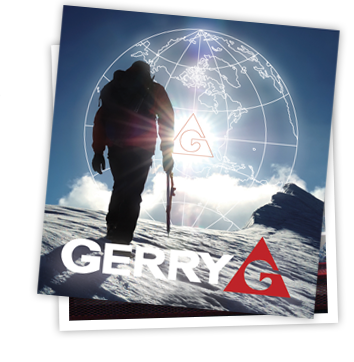 This gradually led to a shift in the Gerry product range, from purely functional hard goods to outerwear and outdoor accessories. 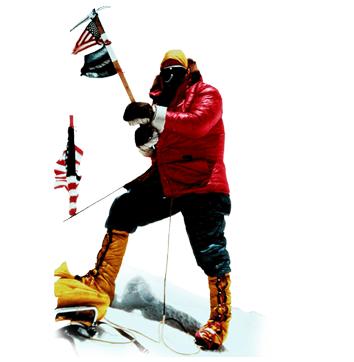 The vacuum packed insulation suits were used during Everest expeditions because of their ability to be compacted down and left in various camps to help climbers who may be in trouble and without their climbing gear. 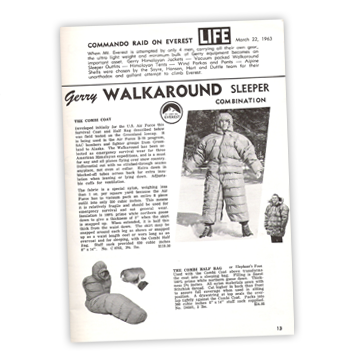 By 1960, GERRY was making a full line of ski and down jackets. 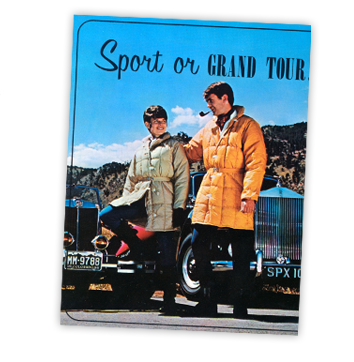 Gerry�s Down Sweater was one of the first lightweight down jackets that was produced by any company. 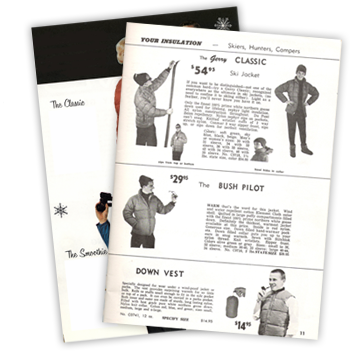 It is widely recognized as the inspiration for the modern lightweight down quilted jacket that is so popular today. The 1st successful US ascension of Mt. 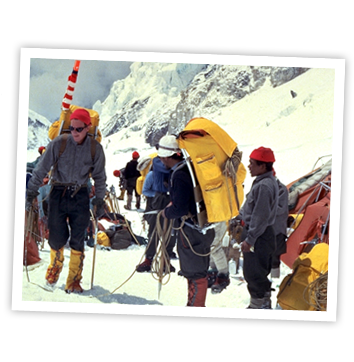 Everest was in 1963. 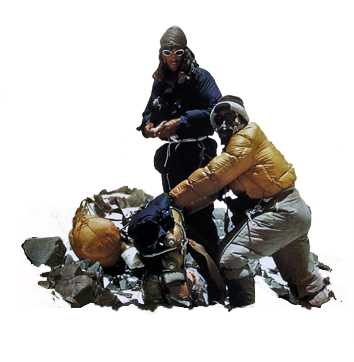 The team was made up of 4 American men, carrying all of their own gear. 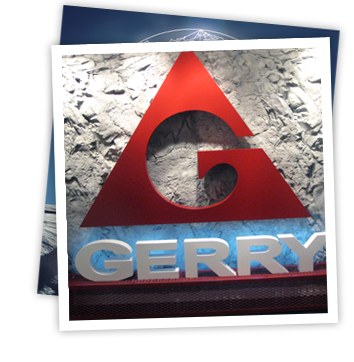 The ultra lightweight and minimum bulk of their Gerry gear became an important asset to their success. Gerry supplied the outerwear, tents, sleeping bags, pants and much more gear, as well as his famous vacuum packed walk around sleeper outfits for the extreme cold temps. 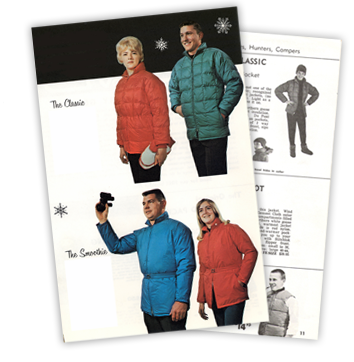 Gerry ski equipment and down outerwear gained cutting edge status at the time of the 1964 Winter Olympics. 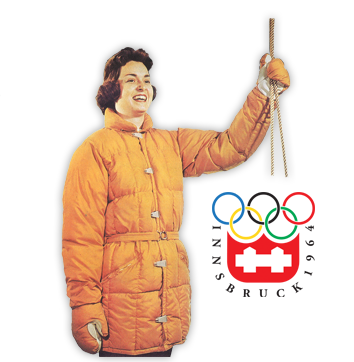 The entire US Olympic Committee wore the Gerry Slope Coat, which was seen by tons of people at the events in Innsbruck, Austria and on TV. 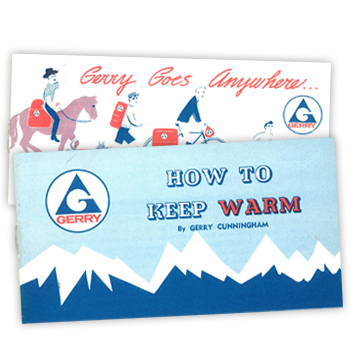 Following the Olympics, the name Gerry was strongly embedded into the US consciousness as a skiwear brand. 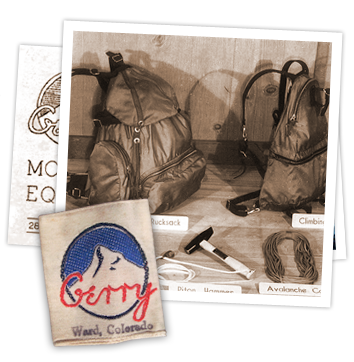 Gerry�s Teardrop Backpack, invented in 1967, was the first modern nylon backpack in existence. And in 1968, after 30 years of working on his �Controlled Weight Distribution� Backpack, he finally got it to his perfection. The weight is evenly distributed in the backpack, so there is no strain. 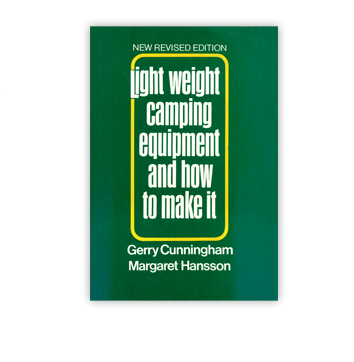 Gerry Cunningham published books on outdoor life that were very influential. 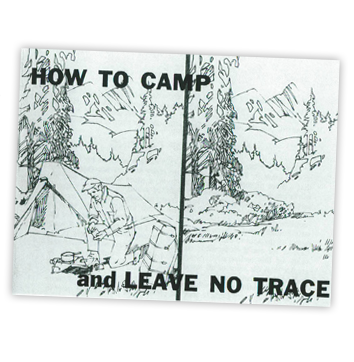 One of his most famous writings, �Leave No Trace Camping�, focused upon a �Take only photographs, leave only footprints� philosophy. He also published a booklet on �How to Keep Warm�, stressing the need of �Layering�, which of course is still accepted and observed in today�s world, by everyone. 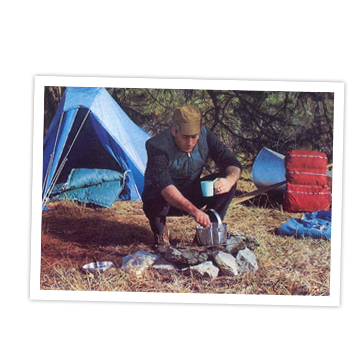 In 1976, he published a book, �Lightweight Camping and How to Make It�, which is still in print today. The book has helped thousands of people to enjoy the wilderness as inexpensively as possible and has been a dependable guide to evaluation and choosing outdoor equipment. For being an industry pioneer in the invention and manufacture of lightweight, durable clothing and backpacking equipment, Gerry Cunningham was elected as the 38th member of the National Sporting Goods Hall of Fame. NSGA membership consists of retailers/dealers/wholesalers, manufacturers/sales agents and industry associates in the sporting goods industry. 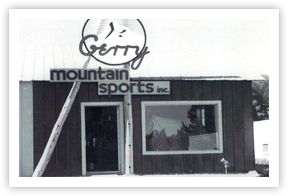 Gerry Cunningham was elected as 1 of 12 �Original Outdoor Pioneers� in 1992 by the Outdoor Retailers Association. 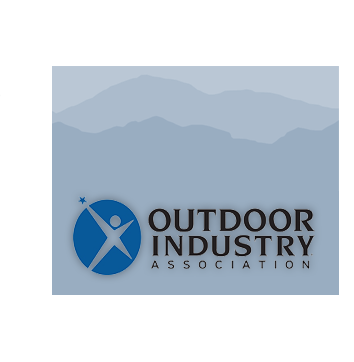 11 other �Outdoor Pioneers� were honored at a gala event for being the first true outdoor trailblazers in the industry. The Gerry brand is re-launched by Studio Ray. Studio Ray introduces brand new outerwear collections and accessories for men, women and children under the Gerry label for today�s modern outdoor enthusiast, while staying true to the brand�s long storied heritage.